I thought we solved the Deady-landing thing a long time ago? As in, it lands in the water alongside the piers. I think that estimate is really small. Not to say thay I'm correct but I based mine on this screen cap from echoes. From the numbers on the screen shot I estimate Atlantis is ~5800M so 5.8K in diameter at its farthest peers. I also scaled the model i'm working on to ~5.8K and put my 450M daedalus class in with it to give you an idea of the sizes. Heres another scaling pic I made to show various SG ships compared to eachother. In this pic atlantis is about 100M smaller but you get the general idea. Not sure if these help at all but I thought I'd share. The Wraith Cruiser is at least 50% longer. And why are there two different sized Orii ships? The smaller one looks right. I think the Orion is a tad bit small though... not much, but just a slight bit. I think Atlantis is frickin huge also, but don't forget how THICK the base is, that has got to be at least an Empire states building in height. 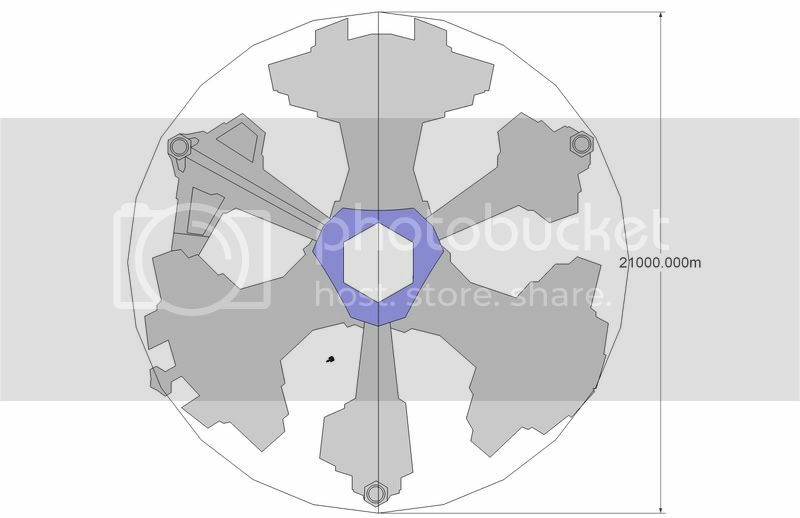 My estimates have it at approx 1.5 miles in diameter, and approx 1/2 mile high (probably alittle more) from atlantis base to the top of the centre spire. Hive ship is 2.5 miles long so theres a reference for ya. Aurora-Class Warship is 665m long, 237m wide. Those scales are totally wrong. The Aurora Class ship is at least 1 kilometer long. Last edited by Bagpuss; February 20th, 2017 at 11:01 AM. Reason: Tags edited. Atlantis is as big as Lower Manhattan, the key word is Lower. That would be crazy if it was the size of the whole of Manhattan. Not according to the show dialog or to Mr. Mallozzi when he had his thread on Gateworld. Both sources say "Manhattan" without any qualifiers. Lets also not forget that we can't really define dimension from the angle that we typically see the Deadelus landing by. That angle is difficult to place and looks in on the city. 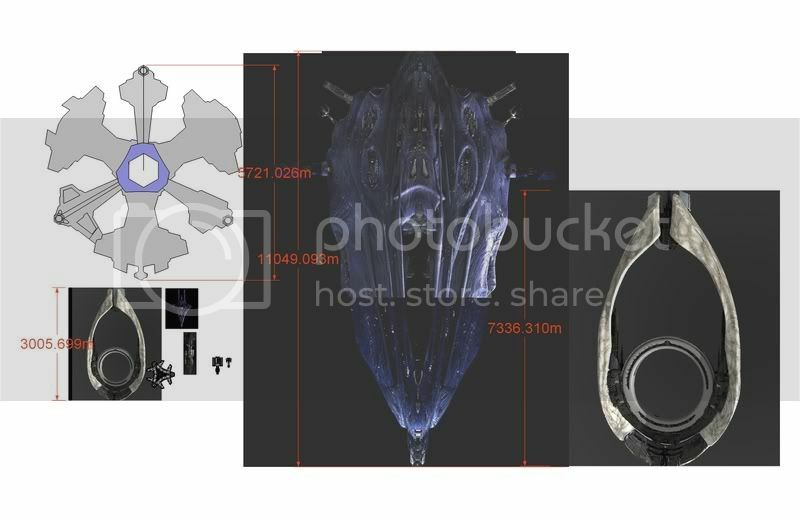 However, if the city was anywhere near the size of a Ha'Tak or a Wraith Hive Ship. The Expedition team would have likely been able to explore the whole dang ship a season ago, if not in the first season alone. So the thing has to be close to the size of Manhattan since the expedition team started out as less then two hundred and could now be close to 4-500 personnel? They're still saying the haven't even explored 'half' the city. Now, if you really want to have a stunning indication of how large the city COULD be. Watch the season 3 episode, 'Sunday.' When Carson locks the Infirmary level down, it's a miniscule sliver of the central command tower. If the scale indicated is anywhere close to being accurate, the central command tower is is close to three hundred levels in height, ABOVE THE WATERLINE alone. Additionally, the new CGI models appear to be moving more in the direction of depicting Atlantis in an epic, highly detailed scale. Or decide to arbitrarily re-scale the city at a later point. As has been mentioned before, that wouldn't exactly be new in the history of Stargate. Point being, any way you look at it, it's lame. - Either they keep it that way, and that's Atlantis, the villageship. - They scale it up, and then it literally screws up like more than two seasons of SGA. - Or they find the real Atlantis. Top notch lamest trick. You can't even say that they wanted to keep it moderate to stick with a realistic "close to Platon" depiction, but point being that it doesn't even respect the few baselines of the old design, that is, the concentric rivers. Plus they made it clear in the show that the myth was lousily inspired from the "real" cityship of Atlantis. That is, how a ship artificially sunk beneath the surface of an ocean as an aditionnal mean of protection, somewhere in Pegasus, turned out, for production reasons, to be the source of inspiration of a city that sank, somewhere on Earth, because of some massive flood. From there, why would they bother with a minuscule city and not go for a really big one? But forget about it. Case is closed. The central spine's main balcony is way to identifiable to do some half assed retconing now, and this piece of the structure served to know how tall the central spire was. So if you're really so disapointed with the size of the city, and if you can't get past it, then I think it's just going to spoil the show for you. Yeah I had no idea how big the cruiser was so I just kinda put it in there. That pic was actually used in another scaling thread and the 2 Ori ships show 2 different possibilities. The smaller one is the one I came up with and I agree is the most accurate. from what I gathered the Orion is a little over 1K and in that pic its about 1.03K But I think it could be bigger that was just a guess.. In other words, it's about the size of two Ha'taks and much smaller than Anubis' flagship. Gee. What a nifty city. I don't think so, two Ha'taks, the Daedalus is relatively the same size as a Ha'tak and when it lands it doesn't even take up a full pier. I do believe it may be the size of Manhattan, why else would their be transporters everywhere. You have to consider all of the factors, like hieght, length, assets and capacity. Deadelus only ever appeared equal in dimensions to Ha'taks in 'Camelot.' 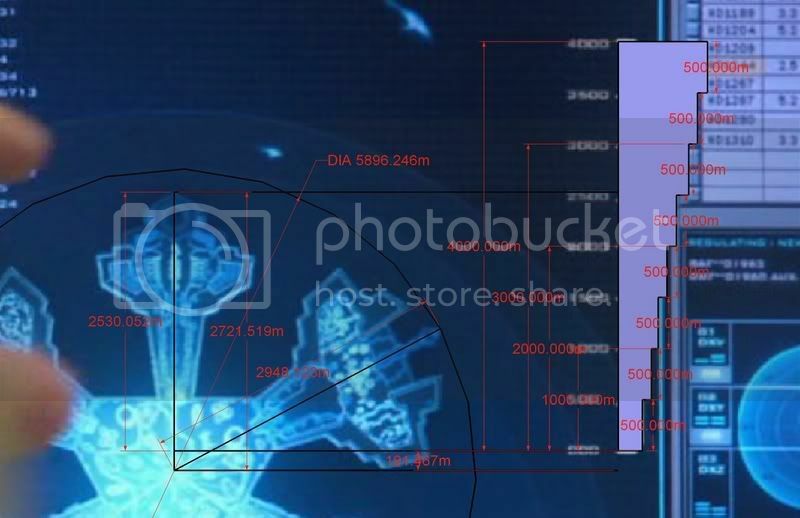 Which is arguably discredited as it's true dimensions because the CGI scene and the scales were messed up for whatever reason (Supposedly to make the Ori Toilets look ominous.) Deadelus isn't that much larger then a Prometheus and the Prometheus wasn't very large compared to a Ha'tak to begin with. The Orion is about 2.5 times longer than the Daedalus with the Daedalus being 450 meters long. Cruisers are somewhat larger than Orion Class ships, maybe 25-50% longer. Guys, don't forget that the piers themselves are the thickness of a moderate skyscrapper. So there are litterally hundreds of skyscrapers worth of space and equipment in the piers alone, let alone the building on them, and the skyscraoppers in the central area. So nothing; there are telltale signs that the Deady is landing beside the piers; namely, the light posts that only appear at the edge of the piers are seen in all cases where the Deady lands. 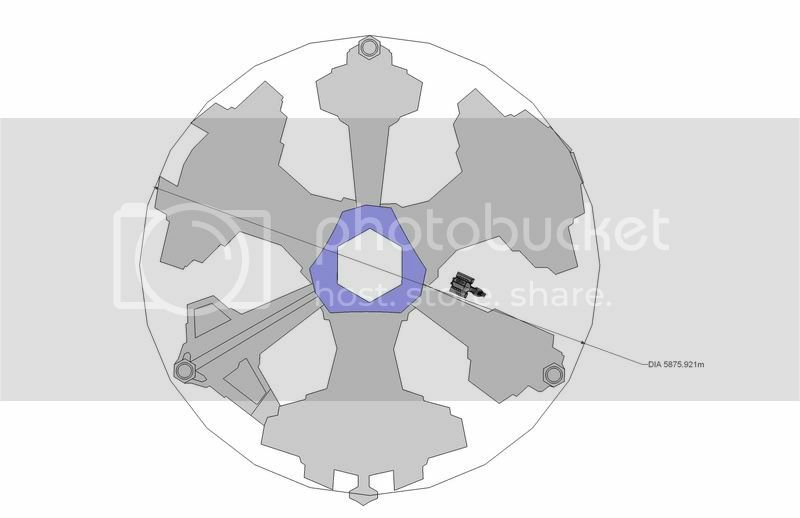 Though it does point in the direction that it was on the side not the center. I am merely pointing out another alternative. But it CAN'T be that alternative since otherwise, you wouldn't see the lamps. I don't see how it isn't proof. EDIT: Sorry if I sound a little mean-spirited; it's just I've been through this many many times. Well, let's just say that size does not matter. She was lying to you. Te he he. Wraith, the OTHER white meat. here you go. It dwarfs it. so, im trying to build a scale model of this in a video game, after all this time, what is the definitive answer of "what is the size of atlantis?" in meters please! I just realized something. It can't possibly be 1.33 kms across. The Daedalus landed on one of its piers and it looked pretty damn small in comparison to the city. So the Daedalus is, what, 100 meters across? I think it's 11.33km because I read that "Circular Island of Atlantis Diameter = 127 Stadia and 1 stadia is 607ft. 127 x 607 = 77,089ft. And 77,089 = 23.496727km. So the diameter is ~23.5km. so the radius should be around 11km so 11.33km does not sound bad then. Size of the Atlantis expedition? Stargate SG-1: The only ever sci-fi show without a definitive bad season?